Appellate law consists of the rules and practices by which higher courts review judgments and decisions of lower courts. The right of a party to appeal an adverse legal decision is found within the United States Constitution and in state constitutions. When a party pursues an appeal, the appellate court will not retry the case or receive new evidence. Rather, the appellate court confines its review to errors that may have been committed by the lower court and to a determination as to whether or not such errors were grievous enough to warrant reversal. 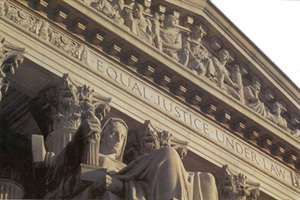 The attorneys of The Jackson Law Firm are experienced in appellate law and advocacy. An appeal requires experience and understanding of the Appellate Rules of Procedure. An attorney, who may have served you well before the trial court, may not have the experience and/or skill to properly protect your interests before an appellate tribunal. At The Jackson Law Firm, P.A. we will carefully weigh your options and discuss your course of action in order to best meet your needs. We encourage you to contact our firm to discuss your options regarding your appellate matter.